'Tis the season for switching on the morning heat. Here in Minnesota, we've lucked out with unseasonably warm fall weather. This time last year we'd already had a few feet of snow on the ground. I'm not complaining one bit about the change! The cats, however, are like, "What's up with the lack of warm air coming through these holes in the floor?" They live for that blast of morning warmth -- especially Phoebe. As I'm getting out of bed, she stands over the bedroom heat register and lets the air blow up on her. 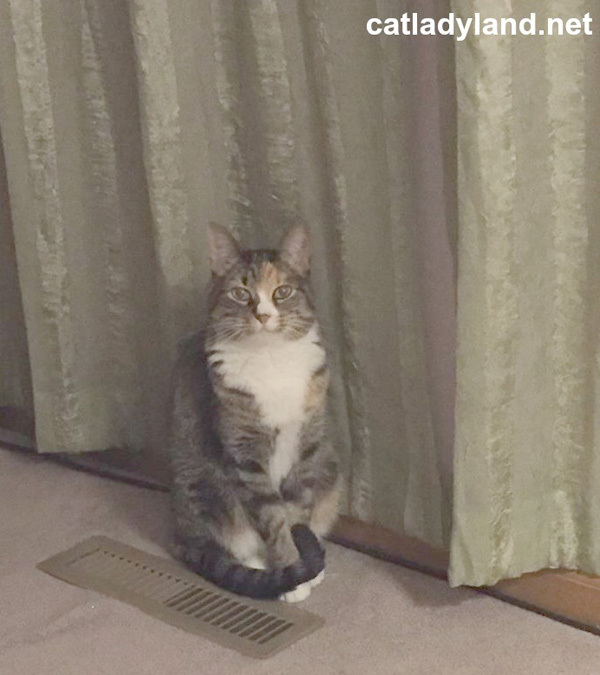 I kind of wish she had a little Marilyn Monroe dress to wear while she stands over the vent. She'd hate it, but I think it'd be adorable. Some like it hot, right?